Loyola Academy’s girls swimming and diving team will be aiming high at the Glenbrook South Sectional on Nov. 11. The Ramblers, who recently placed fourth in the Metro Catholic Athletic Conference (MCAC) meet, will send three scholarship swimmers to the sectional in Cassidy Coughlin (Texas Christian University), Margaret Guanci (Wisconsin) and Shannon Kearney (North Carolina State). The team also features diver Emily Rourke. Kearney was named the conference’s Swimmer of the Meet. She claimed the 100 backstroke title in meet-record time (55.46), while she picked up runner-up honors in the 50 freestyle (24.23). The foursome of Kearney, Coughlin, Guanci and Sarah Pinkerton took third in the 200 IM relay (1:49.94), while Kearney, Coughlin, Guanci and Catherine Holecek ended up fourth in the 200 free relay (1:39.96). Coughlin was a top-five finisher in two individual events: 100 free (3rd, 54.49) and 50 free (24.79). Guanci helped the LA cause by taking fifth in the 100 back (59.59) and sixth in the 100 butterfly (1:00.78). Pinkerton was another valuable contributor. 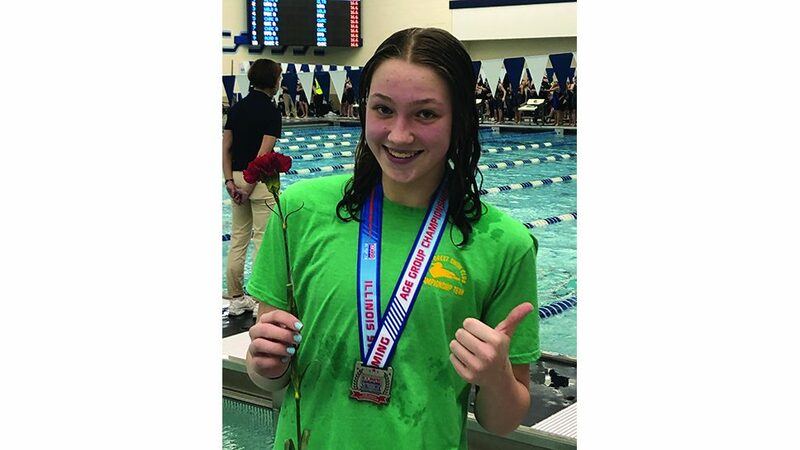 She placed fifth in the 200 IM (2:14) and eighth in the 100 breast (1:11.40), while she also teamed up with Holecek, Stephanie Udzielak and Molly Ball in the 400 free relay (4th, 3:53.31). Holecek added a fifth in the 100 fly (1:00.36) and an eighth in the 200 IM (2:19.09), while Ball was eighth in the 500 free (5:31.34). LA’s other standout performance came in the diving competitition with Rourke. She tallied a 386.80 to comfortably win the event by 34 points. Rosary took first in the team standings (419 points). St. Ignatius (352) and Fenwick (333) finished second and third, respectively.